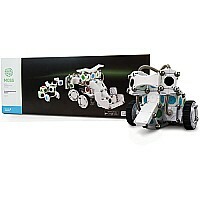 This is a Science Buggy Car Chassis Set. This kit is non-radio controlled and has a lever to engage gears to motor. One (2) AA battery holder w/hardware and switch. One metal frame gear box w/pre-installed gears and axle.